'2.5 million people drank more than 14 units of alcohol on their heaviest drinking day' - as quoted in Office for National Statistics (2014). After noticing that drinking is a problem not just in Manchester but also in the rest of the UK, Manchester iGEM team began research on various methods of measuring alcohol intoxication and sim to create awareness of drinking. We then realised that a cheap and reliable product was not easily available. In line with synthetic biology, we decided to design our ‘AlcoPatch’. We feel this will appeal to audiences from all walks of life as the patch could be something to enjoy and also be useful. Furthermore, people could conceal the device with ease to avoid any embarrassment. We are a group of 10 undergraduate students based in Manchester Institute of Biotechnology participating in a synthetic biology competition - international Genetically Engineered Machine (iGEM). Our team comprises diverse nationalities and disciplines, making it rather unique. We have 6 biologists, an engineer, a physicist, a mathematician and a linguist working on a wide range of jobs such as experimental research, outreach and human practice collaborations, mathematical modelling and web designing. Blood alcohol and sweat alcohol levels are linearly correlated. Currently, an affordable, discreet and portable way to easily track blood alcohol concentration reliably is not available. So, we plan to develop a device that tracks ethanol concentration in sweat; the 'AlcoPatch'. This solution could increase self-awareness, encourage responsible drinking and reduce undesired consequences of being drunk. We will be engineering E.coli to detect ethanol and respond with a visible colour change. Quite often, people are unaware of how much alcohol they have consumed, leading to uncontrolled consumption. What is needed is a simple, cheap and easy way of detecting how much they have drunk. Currently the standard device for this is the ‘breathalyzer’ which is big, bulky and expensive. People can purchase disposable breathalyzers online, but they are often unreliable or very costly. 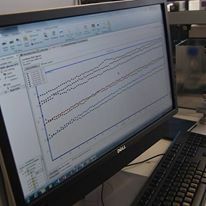 We are researching a new method which uses a person’s sweat to detect blood-ethanol concentration. The biological compounds in the AlcoPatch will react with the ethanol present in a person's sweat, causing a color change. Our ‘ÁlcoPatch’ would be an affordable, personal intoxication awareness tool. Our ambition would be to make this device easily accessible to everyone around the world. We aim to use two different mechanisms to build our AlcoPatch. The first is a cell-free system that utilises purified protein extracts. The second mechanism is an inducible gene switch that revolves around the manipulation of E.coli to express coloured proteins (chromoproteins) based on ethanol concentrations. 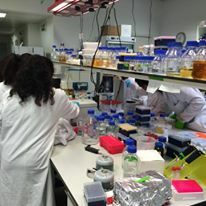 To achieve these aims, we use an array of laboratory techniques: fluorescence imaging and quantification, protein expression and purification, DNA cloning, polymerase chain reaction (PCR) etc. These techniques require materials such as primers, enzymes, kits etc. ; which can cost over £3000 throughout the course of a single project. Please look the budget section for more specific items we need to continue our research. With your kind support, we can make our AlcoPatch a reality. 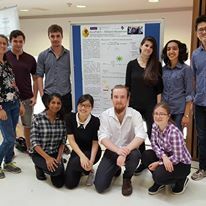 We have been provided funding from Manchester Institute of Biotechnology (MIB) and Faculty of Life Sciences (FLS), which will only be enough to send 6 team members to the iGEM Giant Jamboree in Boston. However, our team consists of 10 members and we would need an additional £6000 for the entire team to attend the iGEM Giant Jamboree in Boston. 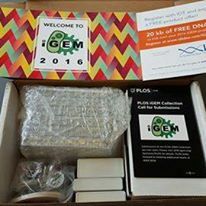 We also need additional funding for lab materials such as DNA kits, restriction enzymes and primers to ensure that we can complete our experiments successfully.The full target of £1500 will allow 1 more members more to participate in the iGEM Giant Jamboree in October. As mentioned above, if more than £1500 is achieved then it will help more team members to travel to Boston. We will update our progress on Facebook and twitter. Please share this project with anyone who you think would support us – on Twitter, Facebook, by email, telephone, in a chat over the fence or on your blog. We appreciate all the support you can give us. Thank you! !